Every month there are some repeating tasks that I do on my blog. I create content for the upcoming month. I write out to my email list. I try to feel a bit more organised by looking ahead at the month to come and seeing what affiliate promotions, product launches, client work and so on I have to prepare for. Every month there are also tasks that don’t recur, such as one-off client engagements where someone will ask me to produce one piece of content for a special event. Or I’ll be hosting a webinar, or giving a conference presentation. I was losing track of all the things that I was supposed to be doing on a regular basis, so I created a very simple monthly blog task checklist. Download an editable Microsoft Word .docx version of the blog task checklist. Now I print a batch of blank checklists a few times a year (making any tweaks like adding on regular new copywriting clients with regular engagements or anything I’ve taken on recently – the latest new endeavour is making sure I’m active in my Facebook group). Then I take a printed sheet, write on it anything I need to do beyond what’s already typed out, and pin it on my noticeboard. As I go through the month I tick off what’s been done, adding on new tasks as they appear. If you prefer to work online, create your checklist in Process Street. It’s a fab tool for managing checklists, processes and lists. You can reususe your templates over and over again. If you have repeating tasks in your business like me, this is a real help. I’m slowly migrating all my checklists and processes to Process Street. I highly recommend that you use a monthly blog task checklist as it takes away the mental load of having to remember what you are supposed to do. For example, I am supposed to create 4 videos a month to share on Facebook. My social media schedule tells me that Tuesday evenings are supposed to be video posting time on Facebook. But I don’t particularly like creating video content for Facebook, and uploading the videos takes ages. If I don’t remind myself that it needs to be done, I would probably get to the end of the month and find that I hadn’t created any videos that month. OK, that isn’t the end of the world, but I have made a commitment to share video content on Facebook. I know that I should be doing it, and I want to, even though it isn’t the most exciting part of my business. See more about how I use checklists in this quick video. 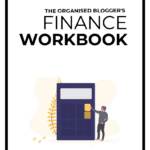 I have lost count of the number of times I got to the end of the month and wondered if I had really billed all my freelance clients for the work I had done. When you bill each month, the months can run into each other. It’s easy to overlook an invoice here and there. I used to waste time checking FreeAgent, my accounting software, to see when the last invoice was dated and what it was for. Whether you are a full-service VA, provide social media support to other bloggers, have individual advertisers on your blog or in your email newsletters, copywriting, video production or do something else that has to be billed for each month, then a checklist can make sure you don’t overlook any possibilities to chase down the money. The monthly blog task checklist isn’t the same as your detailed To Do list. I keep my detailed To Do list in Teamwork, a project management software tool that’s great for bloggers. A checklist is higher level. You don’t use it to record every tiny activity that you need to do for a blog post. It’s a summary. Mine says: “Create blog posts for the month”. It doesn’t say what the titles should be, who is creating the images, what social media posts we need to create for the blog or anything like that. I tick the box when the blog content is created. The checklist gives me a high level view of the month, which is important as it’s often easy to get bogged down in the detail of a particular item. And when you come up for air… it’s the 25th of the month and there’s hardly any time to do anything else. At least with a checklist for monthly blog tasks I can see where I am in relation to the big picture and what I still have left to do. 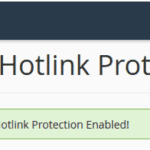 You can get the same checklist that I use by entering your email below. However, I should point out that I have taken off all the personal stuff that I do, that I can’t share, such as client engagements and how many articles I write for them – not that you would have expected me to include my personal monthly tasks. Anything else you should be doing monthly and need a little reminder to do! 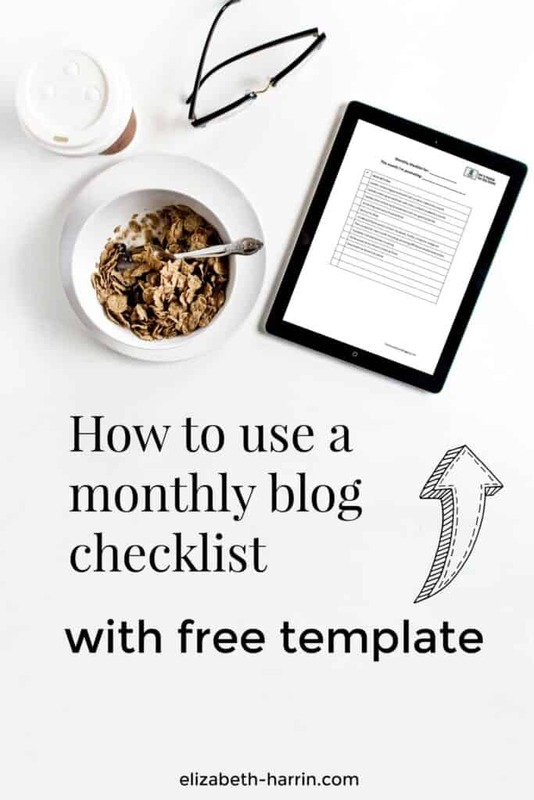 Enter your email below to download your free monthly blog task checklist, edit it to suit your purposes and pin it up at your workspace as a constant reminder of your monthly blog priorities! 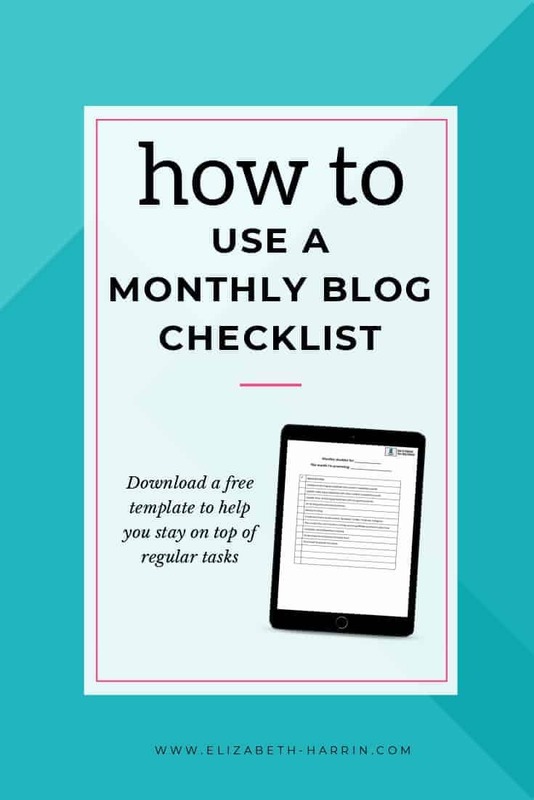 Get a free monthly blog checklist. Fully editable Word file, use it to capture, manage and record the monthly tasks you have to do as a blogger. Make it your own!